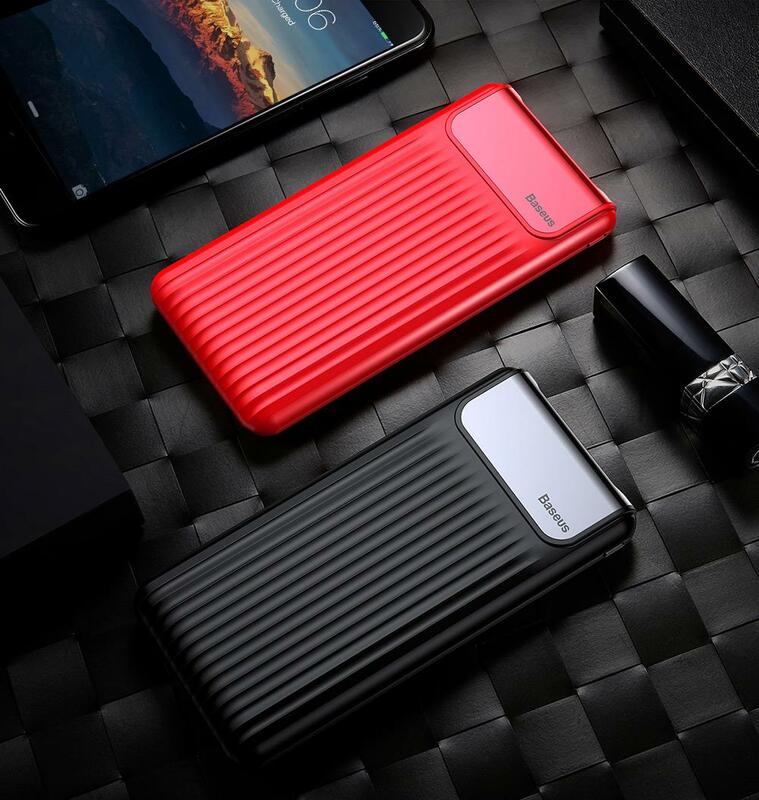 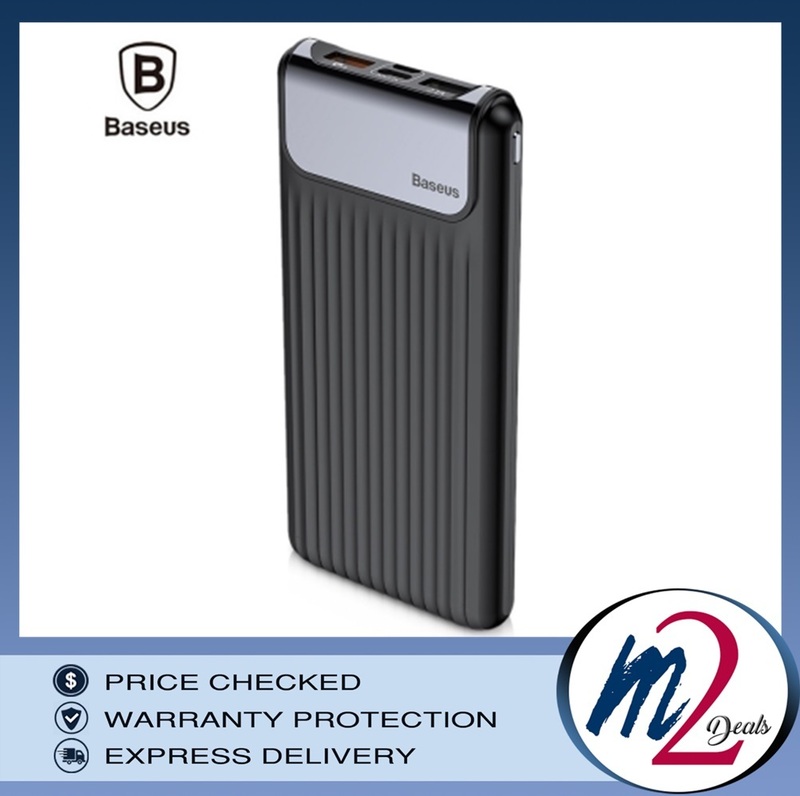 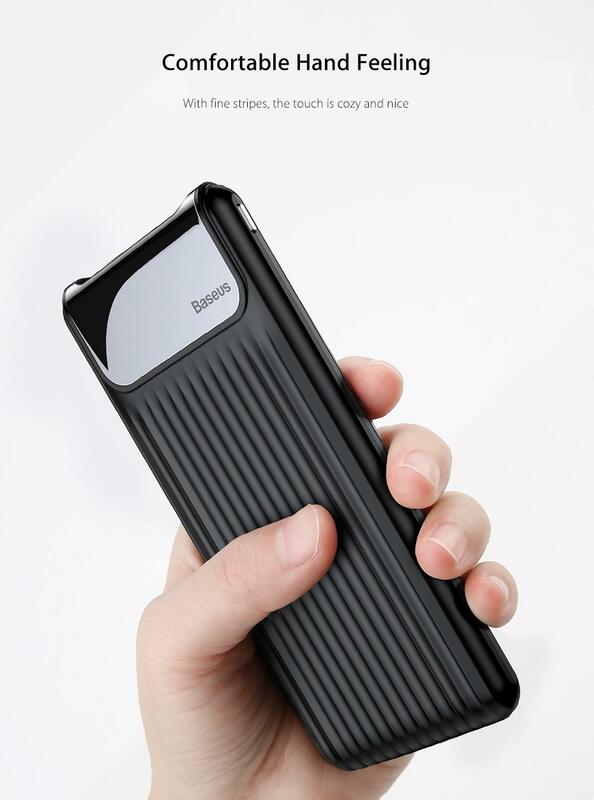 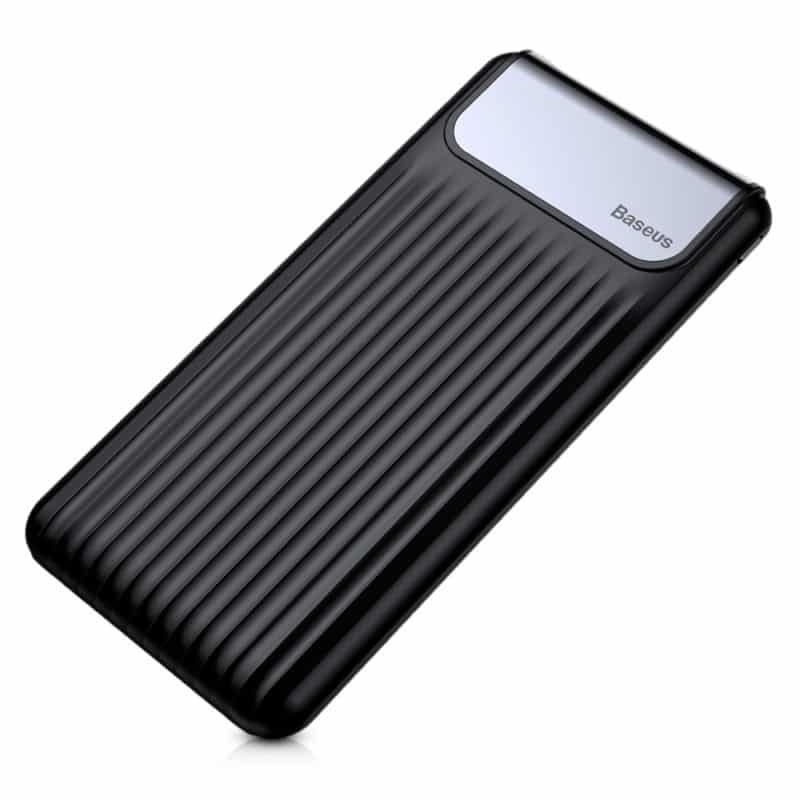 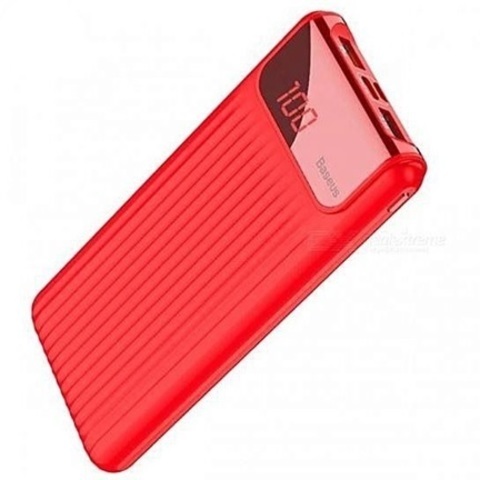 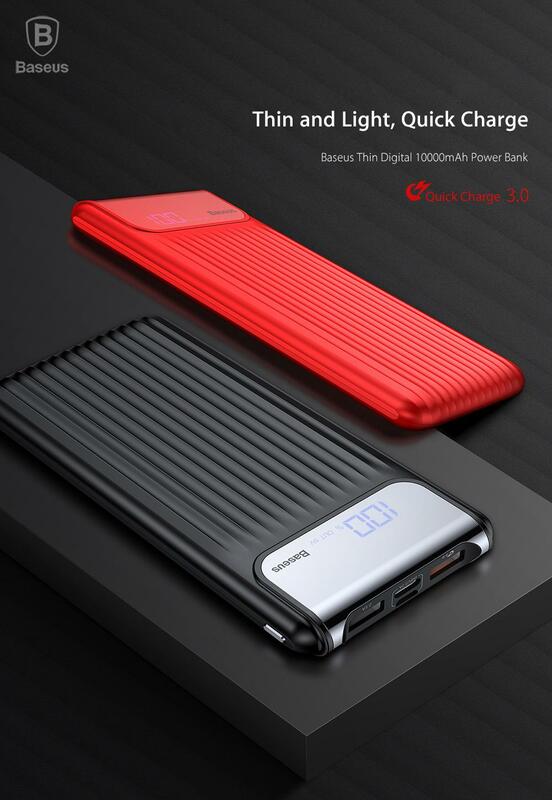 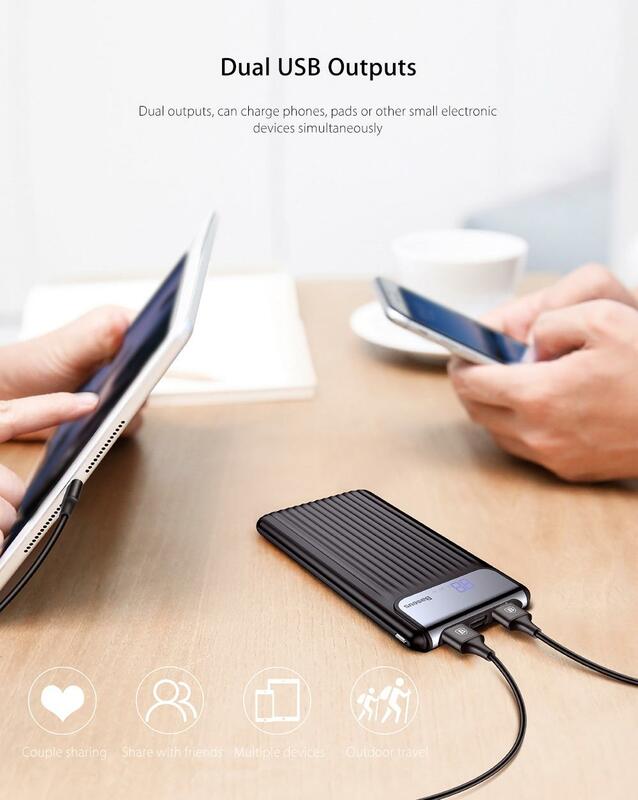 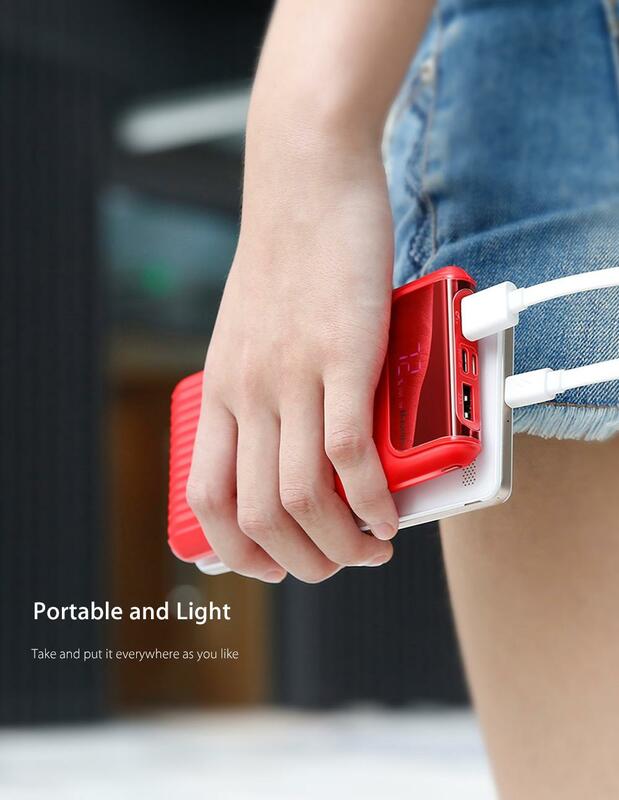 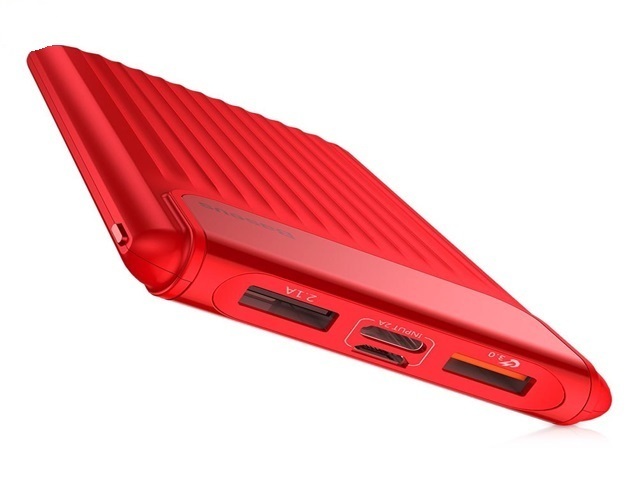 10000 mAh portable power bank gives you enough energy to keep going for a long trip built-in high quality and safe Li-polymer battery, good efficiency for power storage. 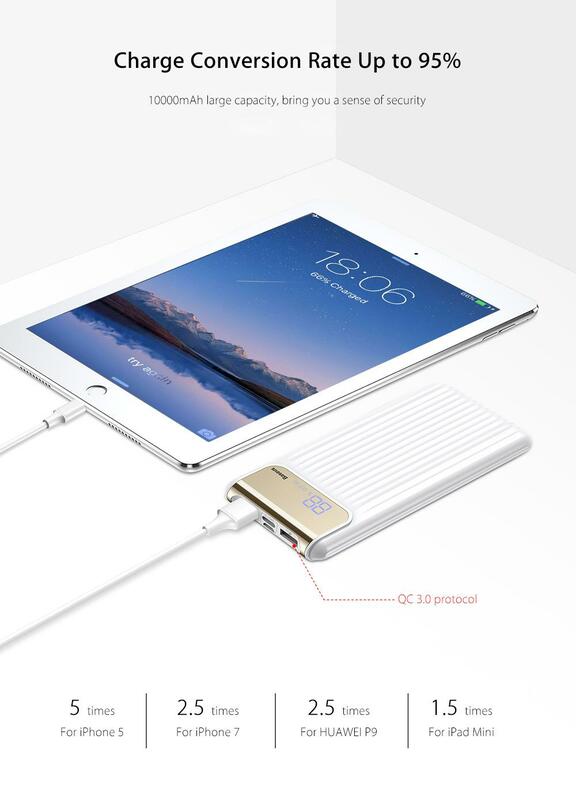 not only the traditional Micro USB cable, you can also use the Type-C cable to charge the power bank dual outputs, can charge mobile phones, cushions or other small electronic devices at the same time. 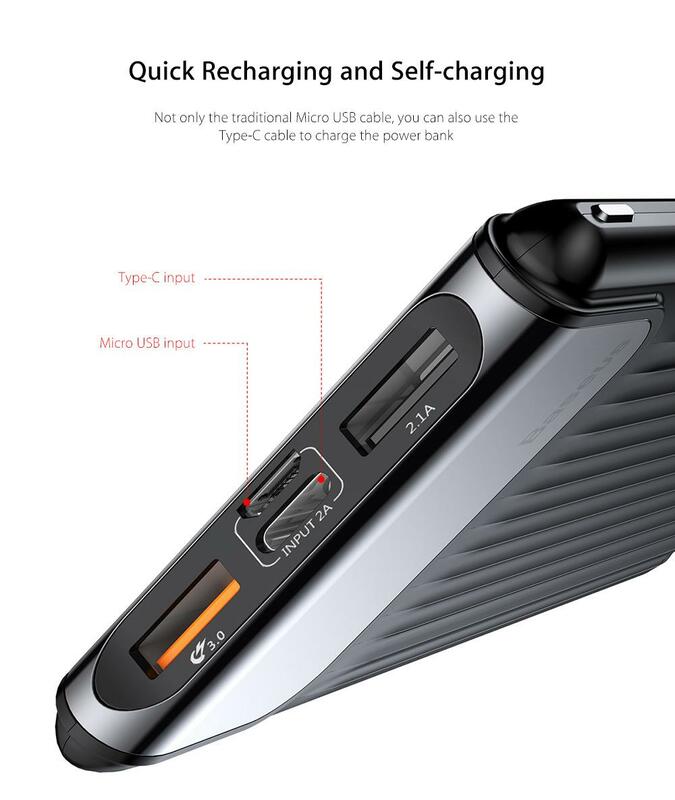 of charging Fast charging function only supports devices equipped with QC 3.0. 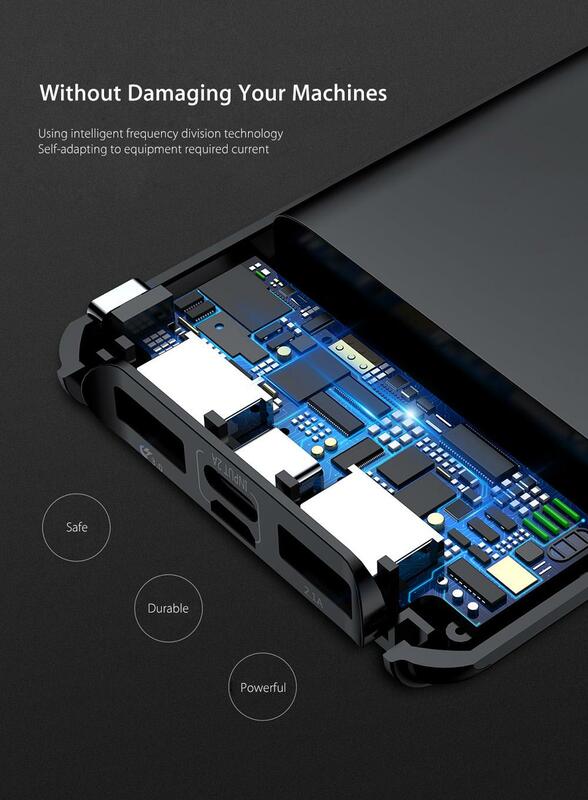 Using Intelligent Frequency Division Technology. 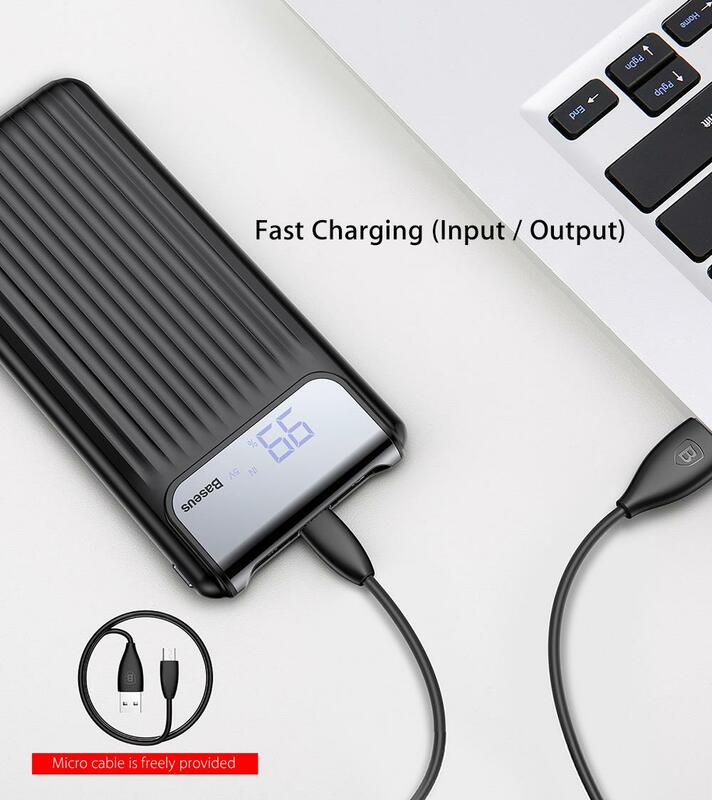 self-adaptation to current equipment required. 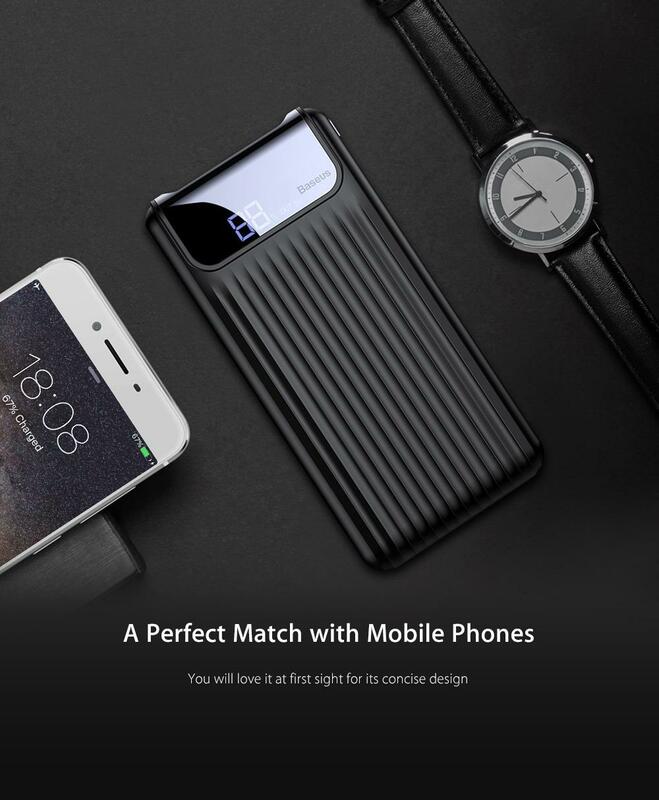 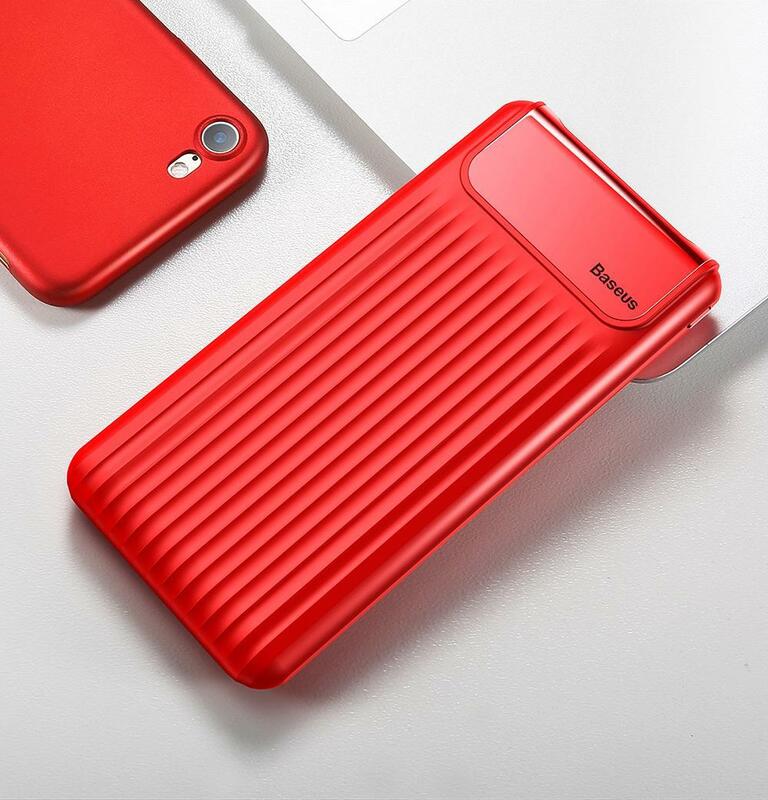 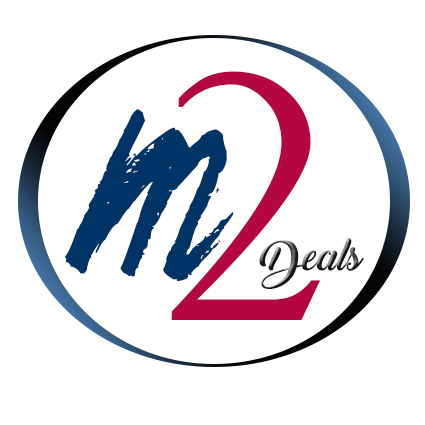 made from environmentally friendly ABS and PC fireproof materials with unparalleled classic design, scratch resistant and high temperature resistant. 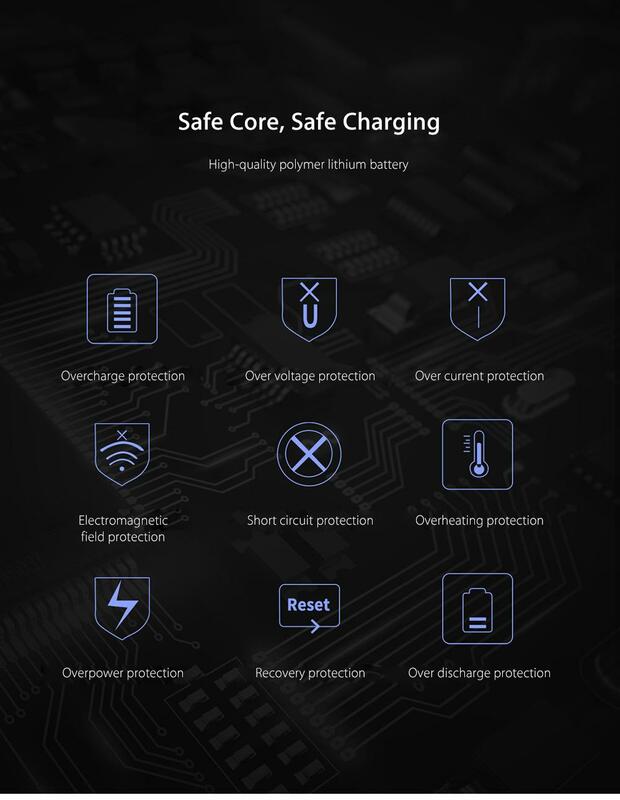 achieve nine layers of protections: overload, over voltage, over current, electromagnetic field, protection against short circuit, overheating, over temperance, overcharge protection and overcharge.